The Way of Perfect Knowledge is Book Five of the "Perfect Knowledge" Series by the Avataric Great Sage, Adi Da Samraj. In this volume, Adi Da Samraj describes the process by which the Way of Adidam — which He also calls the Way of "Perfect Knowledge" — is established and fulfilled. "Perfect Knowledge" is not a philosophy or a technique, but a Grace-Given Freedom from identification with the presumed-separate-self. It is the transcending of not only any conditional "knowledge" of Reality, but also of the subjective "knower" — not by "working towards" Realization, but through the natural heart-response to That Which Is True. There is no water in the boat. There is no ego in the body-mind. There is no ego in Reality Itself. The ego does not, in Reality, exist. There is no separate entity — and the preliminary "Perfect Knowledge" practice points to the non-existence of the presumed-to-be-separate self. 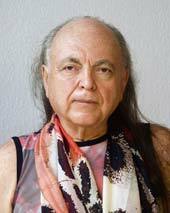 Much of The Way of Perfect Knowledge is focused on Avatar Adi Da's exposition of two of the fundamentals of the Way of Adidam: "radical" devotion and the preliminary practice of "Perfect Knowledge". The Grace-Given practice of devotional turning to Avatar Adi Da — which He calls "radical" devotion — is based on heart-recognition and heart-response to Him as the Divine Reality. Once that basic foundation is established and demonstrated by right life (or embrace of the functional, practical, relational and cultural "self"-disciplines given by Avatar Adi Da), devotees are initiated into the preliminary practice of Perfect Knowledge". Through this practice, Avatar Adi Da Gives His devotees a means to undermine the presumption of separate "ego-self" in the midst of daily life. Next: Re-Awakening to "Perfect Knowledge"
All seeking is Priorly dissolved — in the Intrinsic Transcendental Spiritual Self-Apprehension of Reality Itself (or the Intrinsically Self-Evident Real Self-Condition Itself).